Both images and images and HTML code snippets can be played. Center and resize images on the fly to suit the slider’s size, regardless of the image source. 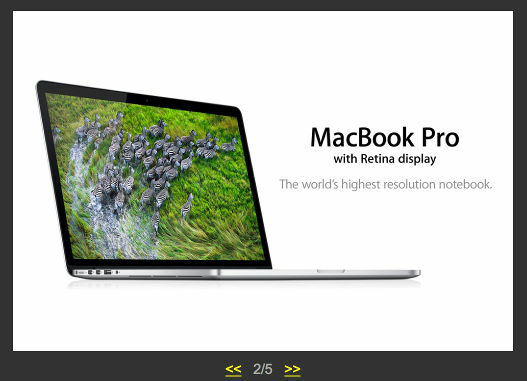 Images can be scaled by mouse wheel and trackpad, and can be dragged to place at any position of the slider window. Slides can be navigated by trackpad swipe or mouse drag and drop, just like iPhone panel. Tovi is free for a personal or non-profit project. Any modification to the codes is allowed, and only be used for Non-commercial. Notice: this sell does not include any liscence of jQuery. « How to capture ESC key in a Cocoa application?